Lets talk nails, I shared ^ this ^ instagram pic but never shared the DIY behind it... I love a good fall manicure and wanted something pretty and different. But come on who has time to go get a manicure and actually wants to spend the $$$ for a professional to paint your nails. (I secretly do, but my pocketbook does not.) So I researched how to do the elusive half moon manicure. I couldn't figure out the heck you get a perfect half circle on the top! Answer: Binder rings stickers! 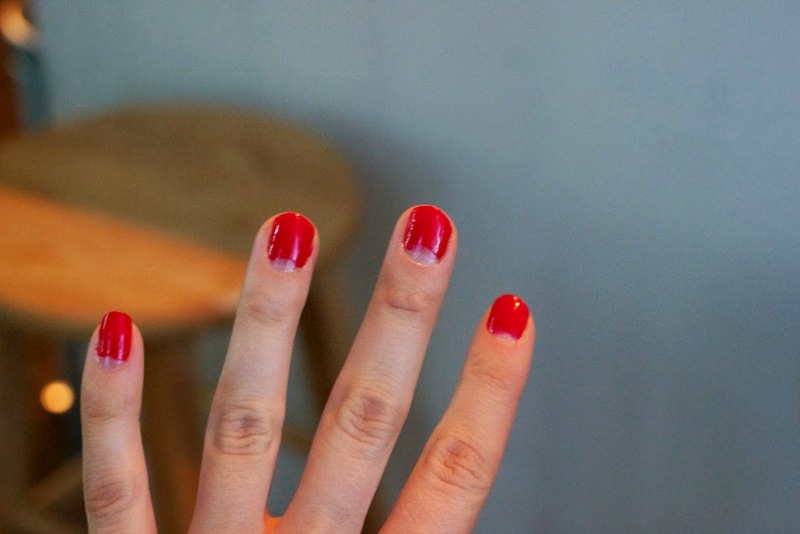 First, paint your nails the color you want your half moon to be. (I decided to keep my under color, colorless and skipped this step.) Let this color dry! Not the fake, I waited thirty minutes dry, but wait two hours at least. Now apply you binder sticker to the part of your nail that touches your skin. You're now ready to paint your second color. I went with my Sally Hansen gel polish red. Here is fun tip for all your manicures. Wrap your tips, this really, truly, honestly makes your manicure last. All you have to do is apply a bit on nail polish in a wrapping motion around the tips! You're now ready to remove your sticker and apply your top coat! 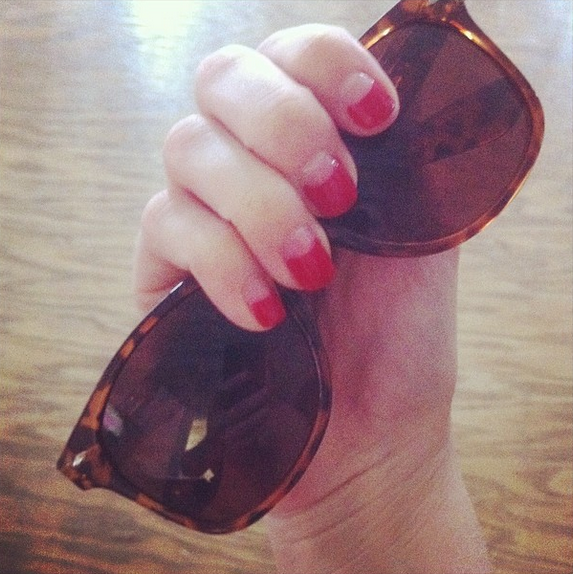 Perfect autumn manicure!